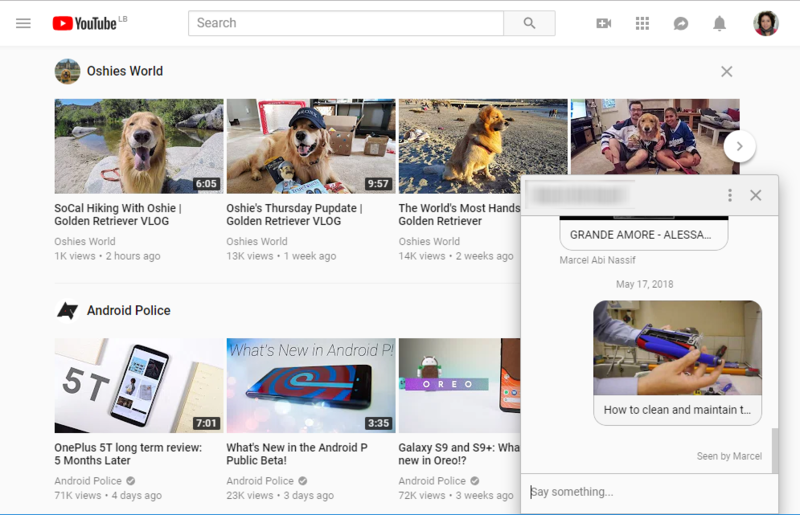 YouTube's built-in Sharing and Messaging system has had a long history: after being privately tested for a many months, it went live in Canada then became official for everyone in August of 2017, and finally was bundled with notifications in the new Activity tab. However, through it all, it has remained a mobile-only feature, available to Android and iOS users. 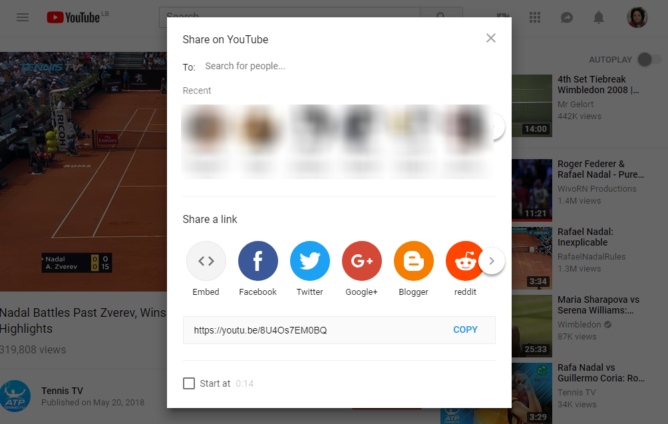 If you were on your desktop, you couldn't share a video with your YouTube contacts easily, see what they sent you, or reply to their messages. That's finally ending now. A new Sharing icon is showing up in the YouTube title bar on the web, right between notifications and the YouTube apps. Tapping it opens your existing YouTube messages and choosing any of these conversations floats it down to the bottom right of your screen. You can scroll through the previous history of videos shared, write a message, and read what's been said. Lesson of the day, guys: After marriage, you share Dyson cleaning videos with your partner. This isn't the only change though. Sharing a video from YouTube now shows a different interface, reminiscent of the one on Android with your contacts in a scrolling bar on top, different embedding and social media places below, and the actual link just below that. The change doesn't seem to be showing up for everyone. Of the Android Police team members who are awake now, both Richard and I can see it, but Cody doesn't have it yet. So it might be a limited server-side test or it might be slowly rolling out to everyone. On a personal level, I can't tell you how happy I am to see this feature rolling out to the web. My husband watches YouTube almost exclusively on the desktop while I watch on mobile most of the time. Oh, the number of times he's had to roll his eyes when I sent him a video and he couldn't open it on his computer, then retorted with, "That's stupid, tell Google!" as if I was best-buds with Sundar. Finally, no more.